When one thinks of defense infrastructure, a key element is the people in the force and the infrastructure, manufacturing, science, technology, and engineering that support it. But clearly, having a dedicated committed and capable pool of recruits both into the support structure and the force is absolute central. But this part of the effort – working with the youth and preparing them for the careers crucial to national security – receives considerably less attention in the defense press than it should. During my latest visit to Australia in August 2018, I had a chance to talk with Air Commodore Gary Martin, whom I first met with and interviewed when he was in Washington DC as the air attaché for the Australian Government. Previous to that he was the Air Mobility Commander in the RAAF. 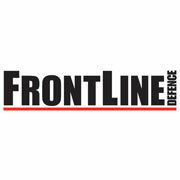 Martin is now in Canberra where he is Director General Cadets – Air Force, which is the first time the program is under the direction of a permanent one star that indicates the growing attention being paid to shaping a more effective set of approaches to preparing the kind of work force and support structure the ADF needs in the future. “What we do is that we work with a civil volunteer force, about 2,000 adults and approximately 7,500 Air Force cadets, between the ages of 13 and 18. The Army has 17,500 students and the Navy has about 2,500. In a size comparison, the AAFC is approximately half the size of the RAAF permanent force numbers. He described the shift in direction of the program as the ADF looks to expand the aperture on preparation for the future. “The program is shifting from citizen preparation as a primary task to shaping a construct where we are building from that to a broader focus on an employment or career path. “We are aiming to help the cadets focus on the broader skill sets which the country and the ADF needs. “By assisting them in this way we should see cadets finish their schooling, entering the right universities and/or getting the right qualifications to support the overall national effort for the defense of Australia. Question: How are you doing that? Air Commodore Martin: By pursuing a variety of activities that give our youth a picture of the opportunities that actually exist in our working environment. “These range from gaining knowledge of drones, to seeing engineers at work or what Air Force is doing when the cadets come to the Avalon Air Show. “We are intending to take them to the major aviation engineering facilities in Australia that Air Force already has working partnerships with. Question: So you are taking the broader and long range view of what support to what the ADF might mean? Air Commodore Martin: We are. This is a really important area of our youth development. Question: You also participate in an international program as well. Air Commodore Martin: We have the international program where 17 nations get together annually to plan on how to have over 500 Cadets travel to host countries to expand their horizons by experiencing their cultures and where possible visit their defense forces. “During their international travel the visiting cadets engage in a two-week intensive course of what’s going on in that country. “They go and visit that particular country’s Cadet’s establishment, to see Cadets in operation and meet representatives to understand more of the approach that country is taking to enhance that nation’s national power. “The program was initiated in 1947 with an exchange of 46 students between Canada and the UK . “As our world environments are now more closely linked together and our nations share so many common issues and challenges, by conducting these visits our cadets can get a much deeper appreciation of the realities that those nations are actually facing. “Our youth need to get that broader international perspective. “For example, at a recent event in Australia, a Norwegian cadet got a call from home and learned that he was going to become a pilot in the Royal Norwegian Air Force and he shared that event with the other visiting national cadets that we were hosting and our Australian Cadets. “Discussing what that meant to the Norwegian Cadet and the opportunities that now offered that young man meant a lot for his Australian and other nation cadet counterparts. 16 cadets from Australian Navy Cadets, Australian Army Cadets and Australian Air Force Cadets represented Australia at the commemorations, joining other young people from Canada, France, UK and USA from 6–9 August 2018. The commemorative service gave cadets an opportunity to remember Australians commanded by General Sir John Monash, who battled with other allies on the Western Front in France 100 years ago. 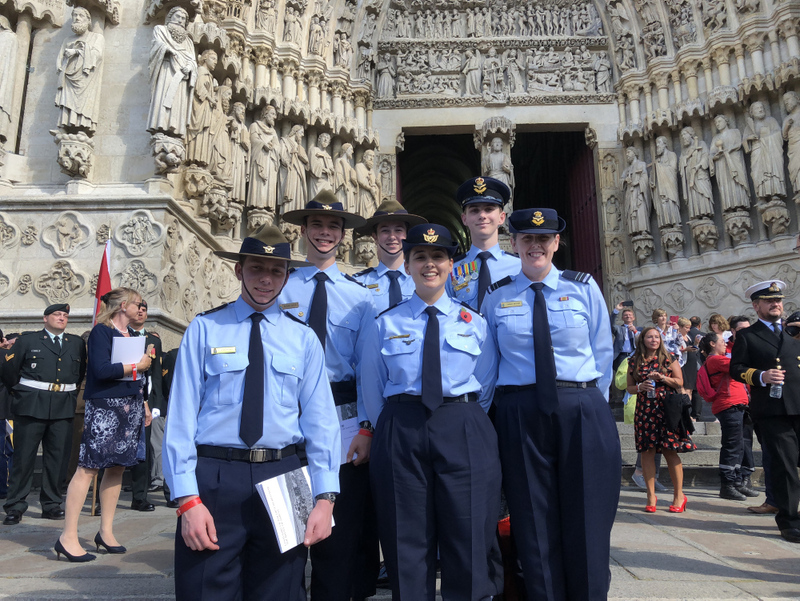 The cadets participating in the international commemoration attended a service at Amiens Cathedral on 8 August 2018 and visited the Somme 1916 battlefields. The cadets heard from experienced tour guides on the Western Front, as well as Professor Sir Hew Strachan, a highly respected World War I historian who travelled with them throughout the tour. The Australian Defence Force Cadets is a community-based youth development program focused on leadership, team building and other skills in a military-like environment.